Tropical Storm Bertha is here. Overnight, a significant amount of heavy thunderstorm activity built up around the center, aided by Sea Surface Temperatures (SSTs) about 26°C (1°C above average for this date). This temperature is right at the threshold of where tropical storms can form. Also aiding the storm is 5-10 knots of wind shear. Bertha has good organization and a favorable environment for intensification, and should continue to slowly intensify today. There is not much African dust or dry air near the storm, and the main impediment to future intensification will be a region of colder SSTs the storm will track over on Friday and Saturday. These cooler SSTs have created some stable air to the northwest of Bertha. Evidence of this stable air in satellite imagery (Figure 1) can be seen in the form of a large area of stratocumulus clouds to the northwest of Bertha. Figure 1. Visible satellite image of Bertha shortly before becoming a tropical storm. Note the large field of stratocumulus clouds to the storm's northwest, indicating stable air lying over cooler SSTs. Most of the computer models foresee a west-northwest track into the mid-Atlantic over the next five days, with a possible recurvature to the north by the end of the period. Whether this recurvature takes place depends on how strong Bertha gets. A larger, stronger storm will be more likely to "feel" the approach of the approaching trough of low pressure and recurve. A shallower, weaker storm might be able to avoid recurvature and continue west-northwest towards Bermuda. Today's formation of Bertha at 25° West longitude is the farthest east a tropical storm has ever formed in the Atlantic so early in the season. It is also the farthest east a tropical storm has formed in the month of July. Reliable records of Eastern Atlantic storms go back to 1967, the beginning of the geostationary satellite era. Is the formation of Bertha a harbinger of an active hurricane season? Probably. According the the Hurricane FAQ, "as shown in (Goldenberg 2000), if one looks only at the June-July Atlantic tropical storms and hurricanes occurring south of 22°N and east of 77°W (the eastern portion of the Main Development Region [MDR] for Atlantic hurricanes), there is a strong association with activity for the remainder of the year. According to the data from 1944-1999, total overall Atlantic activity for years that had a tropical storm or hurricane form in this region during JJ have been at least average and often times above average. So it could be said that a JJ storm in this region is pretty much a "sufficient" condition for a year to produce at least average activity." A tropical wave (93L) that passed through the Lesser Antilles Islands last night has grow less organized this morning, due to an increase in wind shear to 15-20 knots. The disturbance is a rather small one, and thus vulnerable to wind shear. QuikSCAT satellite imagery from this morning shows no sign of a surface circulation. The SHIPS intensity model predicts wind shear will increase above 30 knots by Saturday morning over 93L, and it is unlikely this disturbance will develop into a tropical depression. Both the GFS and NOGAPS models are forecasting the development of a tropical disturbance in the southern Gulf of Mexico's Bay of Campeche on Monday. The tropics are getting active! I'll post an update Friday morning. Happy 4th of July weekend! Count me in, too! I know how to tack close to the wind! 996, but if it does not strengthen as anticipated, then the surface steering has a lot to say in this. Isn't Bertha still considered to be in the Mid-lower levels....it may be projected to go to higher levels but, i don't see it getting much stronger than it is now. Press - hope you're having a great time! So drakoen what do you think of my synopsis and probability in post 988? Not bad. The southward shift is interesting because none of the models featured that. We'll have to wait for the 00z runs. Bertha can't make up her mind first she's further north now shes further south. Stronger systems gain more vertical height. A moderate-strong tropical storm can feel the weakness in the mid to upper level ridge. I have Drakoen's approval! My self-esteem is complete :) Now I will get off the computer. Current and forecast 100m heat map. I would love to be more optimistic in making this seem like more of a threat than it is but to be totally honest with ourselves: Bertha is currently deepening and moving due west or maybe even south of due west, this may be short lived but nonetheless it will bring it over warmer waters than expected making it deeper, which would favor a recurvature later in the forecast period. The current veer to the west will not put it south enough to avoid the weakness that is currently forecast to occur altogether. All that we can hope for is that the trough not be as strong...and im hoping for the sake of more anxiety. "haven't checked the blog in several hours..... but this xtrap vs. model consensus is very troubling......."
mrsea, have you been drinking, or do you just have a vivid imagination??? I just looked at all the Stearing at all levels and Bertha should head WSW for awhile until it starts the other side of the high, it all about timing if it does not speed up it will miss the opening. My bet is if it stays south it's destroyed by the westerlies and if it goes north it curves out to sea. i think this comment was referencing earlier discussion. would expect xtrp not to be too far removed from guidance if guidance is performing well, especially on a system barely moving n of w, if not due west like current. Exactly. That is why the XTRAP is useful. Press - ME TOO. Have a great time and relax. Wish we were all hanging out with you and Mrs. Press. hey..... I was born in a day..... just not yesterday! Sounds good press, don't get too close to that buoy! Press, I read today that a buoy sank, just around where you are there. They say its just 3 feet underwater. Has not gone to the bottom yet. Press, are you there? Press?? Unless I have no clue which is another distinct possibility! LOL! if i didnt have work tommorow id be opening a beer by now. nice anticyclone over Bertha...does that make it more or less likely to feel affects of the recurve? or neither? so when do the next runs come out.... 2am?? Indirect effect. the Anti cyclone could help strenthen it and then it would feel the effects of the trough and recurve. GFS will start coming out soon thel, the rest will be out by 2. This early in the season, Bertha has a lot of butts to overcome to have impact on anything except fish...IMHO. Thats what the stroms flows around is the high. 1053. TheWeatherMan504 3:51 AM GMT on July 04, 2008 Hide this comment. Indirect effect. the Anti cyclone could help strenthen it and then it would feel the ffects of the trough and recurve. Ok i was just wondering if the anticyclone would cooperate with the weakness or work against it and make it harder/easier to curve. thanks. Honestly with the MJO pulse coming next week the GOM and Carribean is where the real action will be....not Bertha WATCH! 1056. TampaSpin 3:52 AM GMT on July 04, 2008 Hide this comment. Will check bertha and her butts in the morning. Less than 10 percent chance given time of year and how far west it has formed is my feeling on this one. "bertha don't you come round here anymore..."
Even Phil is smiling...ok ok ok..night kids. Guess everyone turned into a Pumpkin....Good Night All and Happy Fourth of July! There are two ULL that are keeping anything from developing in the GOM. One is in the NW Gulf and the other inland over south Texas. As long as they are there we have no chance of anything spinning up. Anyone know what is suppose to happen to these ULL and when? when does the blackout happen what hours? SJ.... will that allow more westward motion? I think we have another week or two before it starts. Happy Independence Day, all you Americans. Have a good one, and remember, everyone is looking at you ! Bertha is facing a major battle tomorrow with dry air conditions west and north of her position. Also SST's are marginal. The combination will take its toll. Bertha appears to be strengthening at a good clip, the convection is blowing up good thanks to good old durinal max, maybe a 55-60 mph on the next advisory? I think by Saturday, we should have a better handle..
the same to you thelmores and everyone.Happy independence day!! lets the fireworks show begins! the navy does not say so. but it does look better organized. Not sure thel. Really need to wait and see the rest of the run. It does show the system at 50W just south of 20N. The 12z run had it just over 20N at 47W. So it looks like the GFS is going to jump south some. Wave behind it is pretty far south. WOW.. the LATEST GFS has shifted south!!! Notice it hits 20N when it gets 55W!! Newest MIMIC images show an almost due W course as of late, also shows a weakening. Sometimes we laugh, sometimes we cry. You take care. Have a great one . This is not very good at all. and there appears to be more ridging. 1087. You must click on the link, It clearly says the strength of the Storm. The 1091 post you can see the weaknesses but, if you look at the loop of that pic the weakness is closing off now....and it is being missed...the next weakness is why the track is now further West and south....it is very clear and visible in that loop. Its not a line to the navy site its a link to YOUTUBE! Three systems off of Africa. Early wave train, or just the GFS going all CMC on us? I was leaving out that slightly S movement and chalking it up to jog, but yeah it seems to be near 13.5 now. My track is in my blog, go check it out keeper! Some of my best friends are people I've never met...thanks Mel, SJ...so how goes the nightwatch? Looks like Bertha is going to try to miss the bridge, you think? 0z BAMS has it on a b-line for florida. This is not good gang, not good at all! By tthe way, who predicted this and saw this arrive first, because I would like to personally command that person or those poeple right now! Guilty.. ok yell at me, I was just doing my job lol.. It's all in my blog. I'm not going to say the GFS is correct but the MJO computer forecasts from the EWP show a continue upward pulse through most of July. The GFS long range shows favorable upper level conditions throughout the TRPL ATL and finally the Caribbean. That wave behind Bertha could end up being more of a problem then Bertha if this run of the GFS holds any merit. Troll? Ive been on here for 3 years. Its a joke thats popular on the internet. LOL! you just been weathermaned! I might be applying to Regent University later on.. depends how my work schedule is. I think it's somewhere in Virginia. Though I'll be doing online coarses from there if I even apply. 1125. TheWeatherMan504 4:35 AM GMT on July 04, 2008 Hide this comment. OMG!! NO! LOL!! Ill get you back. Not that it means anything, but post 1124 - that has an Andrew look to it. This was interesting new product at fsu. 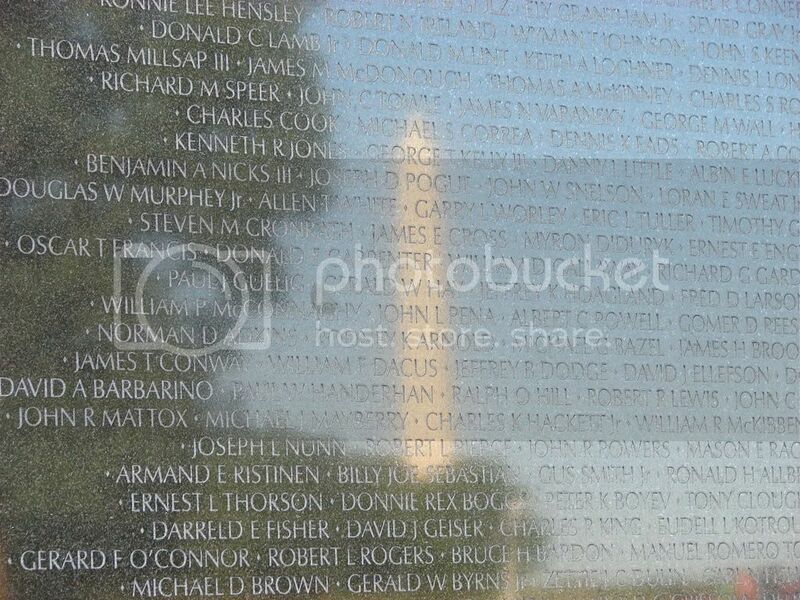 Click on the pic & scroll to the bottom to see it large. Some interesting things here. Minimum MSLP is 1010mb, 34kts at 925mb & at the bottom it says in red letters..Use with extreme caution. Right now i don't see the turn for Bertha. Things will change. But nothing i can see coming. I feel the high will build West and put Bertha on a direct course to the Con US. i didnt say so th BAMS is doing that i just happened to notice it. That is going way out on a limb TS! I think it will make the curve eventually, when is the question. I just noticed something.. The GFS continues to do the "stalling method" on Bertha after reaching some point. Though the trough is slanted to a point where a storm could easily sneek under and head more west. IF and IF Bertha doesnt NOT stall, it could head more west than the GFS predicts and easily slide under the front and head west to Florida, say a Frances track. this is only a hype thought.. but would not be surprising if it were to pan out. Good morning all! Happy Fourth of July to everyone here. Based upon the latest trends in the track and intensity for Bertha, I have grown slightly more concerned. From my observations, the stable airmass preceding Bertha may be having a big impact on the system right now. Even though it may seem the convection has increased and looks organized, I have noticed small signs of weakening. In addition, it has been traveling south of due west over the past few hours. Like I have stated all along, we need to watch Bertha as I just dont see it curving out to sea as it appears the troughs have come to a grinding halt over the US and the ULL continues moving further north. But again, time will only tell. I know 174hrs is getting pretty long range, but the GFS is spitting out like wild fire. I was wondering what the hazard was, does have a picture of a sharp point on it. The GFS has Bermuda right in Berthas eyes after 200 hours!! HA.. I predicted this, just in a southern way lol. 1137, I noticed that. I don't really see that its weakening however, it seems like its makeing the enviroment around it moister. Made a mistake Drak. Corrected the error. one thing is for sure....Bermuda residents should closely monitor Bertha! The Low Pressure Area centered to the West Northwest of Coron, Palawan has developed into a tropical depression and was named "GENER". At 11:00 AM PST, Tropical Depression Gener located at 13.0ºN 117.5ºE or 300 kms West Northwest of Coron, Palawan has 10 minute sustained winds of 30 knots. Tropical Depression "GENER" is expected to enhance the Southwest monsoon and bring rains over the Western section of Southern Luzon and Western Visayas. Residents in low lying areas and near mountain slopes over these areas are advised to take all the necessary precautions against possible flashfloods and landslides. The public and the disaster coordinating councils concerned are advised to take appropriate actions and watch for the next bulletin to be issued at 11 p.m. today. I'll admit that I did make that statement. I thought it would move NW, not nearly due west. So, I was incorrect. I rely on observations more than computer models. That's one big cone. lol. i gortta go to bed its too late. Floodman see why its going to go West don't ya....that tells it all. lol BIG one!! However, track will deffinatly shift further south on tommorrows 2nd run! New toy.. the track overlayed on Emanual's maximum intensity potental map. Looks like you have to select it from the 2nd line. Shows that southward movement well too. hey, if you stay in this blog long enough, you will stick your foot in your mouth! its going further south because it has missed the opening now the high is building back in. The SAL is why Bertha has a low level cloud deck. We all have to wait for about 5 days to see if another opening comes.....lets hope so. I Just love those folks at CIMSS! im an amatuer so can someone tell me what a SAL is? Terrific and important observation JP. This is the main reason why I see no significant strengthening and am, in fact, expecting slight weakening over the next few days. Goodnight JFV, and Happy 4th Of July! Saharan Air Layer - Basically the layer that contains dust from the Saharan desert. Good night all! I'll try to be back here tomorrow AM before I work (yes, work) tomorrow from 11 AM to 6:30PM. Its also very dry area. lovin the rays down there in tampa arnt u ts big sweep this week! heres a question for you, how come the dust doesnt act as condesation nuclei for the storm? They are hot, real hot and the more and more people are jumping on the band wagon in Tampa and fan support is getting hugh. Pretty much what we were seeing, huh? What jog to the NNW????? Well good evening there fellas. Drak, and Jp how are you guys doing? I don't know if you remember me but I was on quite a bit last year and the year before. Finally have some time this year to start coming onto this website again. I have been so busy with school and work that I haven't been able to get on here as much as I would have liked. Just to put my two cents in about Bertha. I actually agree with the Drak that it's taking that NNW movement as is clearly defined in that Skyepony link that was put up earlier which is a great link by the way. The models show that the mid to upper level ridge to north of the system is weakening in response to a deep layered longwave trough. You can watch it on water vapor imagery. Okay, folks, time for me to medicate and crash...long day! Keep an eye on old Bertha for me, huh? That's correct. Afterward, it should head back westward or WNW. Nit Flood take care and watch that stuff your taking.....been there before. Your name looks familiar. I'm doing good for the most part. Nice to see some of the old bloggers back. Hey all... Quiet now isn't it... Good quality discussion here. Where does everyone think is the best site to get the most recent model runs? Well, at least the GFS and NOGAPS aren't predicting development in the GOM next week now like they were earlier...that's good news. Can I say DENNIS 2005? Good Drak I'm happy to hear you are doing ok. I am happy to be back on here as it is always fun to be on with fellow people who enjoy and talk about the weather as much as I like too. 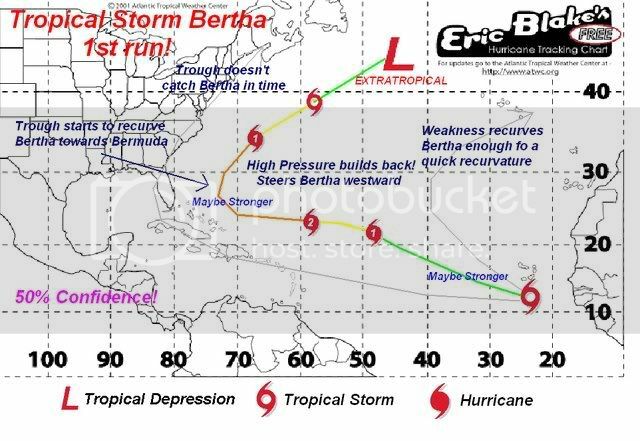 This should be an interesting season as we have already had a weird start with Bertha forming as far out as she has. It has the look of a late August to September look with waves coming off of Africa already. By the looks of the latest Infrared pic of Africa there is already some disturbed weather further south and in the middle of the continent that is on it's way off of the coast in a couple of days. Most of the favorites are here. Thanks for the site tampaspin! 15.5N 35.9W BY 5/12 UTC. Didn't know France monitors the Eastern Atlantic as well..
CMC and GFS are showing an active African coast for the next week or so. Its gonna wake up soon MJO is coming. bballer the FSU site is alo a good place for models. It ha the HWRF and the GDFL in zoom. good nite everyone.....see you all tomorow and stay safe and have a happy 4th......remember what it is about. Hades, where did you find the info for Bertha from Meteo-France? Does anybody have the 2am computer models. HOLY COW CHECK OUT THE 00z GFDL THAT JUST CAME OUT!!! does anyone know where I can learn more on what the "MJO" is? Wow.. lol. But remember its only 1 model. hmm that is odd the UKMET dissipates it and the GFDL turns it into a hurricane..
New HWRF also has it basicly as a nothing.. GFDL is an outlier. OK im going to go get about 4-5 hours if shut-eye...cya all tomorrow. An area of convection (98W) located near 13.0N 117.9E or 205 NM west-southwest of Manila, Philippines. Recent animated multispectral satellite imagery shows deep convection persisting on the western side of a developing low circulation center also evident in a 2155 Quikscat Pass and a 0208z AMSU-B Image. The disturbance lies in a neutral upper level environment characterized by moderate easterly vertical wind shear and good westward diffluence. Additionally, although low level westerly flow is noted on the equatorward side of the disturbance, this flow is fairly weak and is therefore not expected to fuel rapid development of the low level circulation center. Maximum sustained winds near the center is 10-15 knots with a minimum sea level pressure of 1009 MB. Because both upper and lower level conditions are only marginally favorable, the potential for this disturbance to form into a significant tropical cyclone within the next 24 hours is POOR. So what is the current consensus with all the most recent model runs and steering current patterns? God bless WU and all! Happy FOURTH of JULY! Bunch of folks gave TONS for our independence! 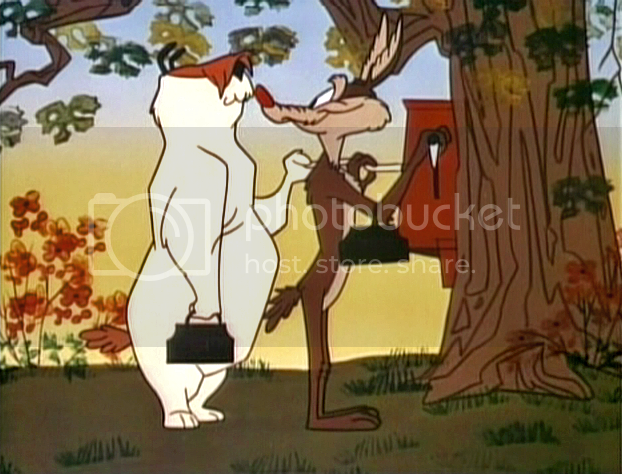 ...good to see good folks working together! Bertha meeting a death in the north Atlantic and weakening...dry air? TWC mentioned it yesterday. I just caught the WPLG (ABC 10) broadcast on Bertha and noticed the track seems to have moderated southward since yesterday a. m.
Is this just a jog, or do u think it's a trend? If it makes it to 60W, I'd be surprised. Happy 4th of July! I saw the 6z GFS notice now the turn of Bertha is now at 60W and I saw the other system you mentioned going through the islands into Mexico. thanks its the first comlement ive heard in days about twc.your a good man ike. Happy 4th...good morning....ah...good coffee....got rain again yesterday...more to come this weekend. That 06Z GFS should get some attention. I'll give another one...Jeff Murrow(sp? ), has always done a good job..on-air...seems like a nice guy from Pittsburgh I believe. wow the dmax gave 93l a blow up last night. GUIDANCE ENVELOPE...IN CLOSEST AGREEMENT WITH THE LGEM GUIDANCE. This is just what I was suggesting last night. I figure Bertha could make it to 60W before that turn is really evident. when i go on the feild to produce ike(when they go for hurricanes). it was my first year working in 2004.Watch me hold abrams in this video durring frances. A few nice waves fixing to exit the coast of Africa....94L?....95L?????? Have u read NHC 0500 discussion on Bertha? They have some interesting things to say about that southern area. Yesterday afternoon I suggested that 93L would slow below Hispaniola and that this would allow it to regroup overnight as well as wait for improving shear conditions in the NW Caribbean. This seems to be playing out that way and the NHC have now added a 1013 mb low along the wave axis . The 850 mb vorticity is showing a return of the vorticity that had completely faded away yesterday. This will bear watching as a high is building to the N from the SW Caribbean. I like most of them but Mike Sidell is a little girl.we call him Mary-Weather. July 10th, 2005 landfall...I exited Defuniak Springs,FL...went to Dothan,AL...their winds were only around 40mph. My yard had branches down everywhere from Dennis the Menace. near 15n based on a small swirl evident on shortwave IR images. shear...from 15n-17n between 66w-70w. " Happy 4th of July to you guys in the The United States. Makes for interesting watching close to home ! A floater should be available today. Yeah....it does....the season is heating up in the Atlantic. They need to put 93L back up. The circulation of 93L can even be seen on the 6 km geostationary satellite of the central atlantic. Pretty impressive considering the amount of vertical wind shear. Should wind shear slacken anytime along the future trek, I dont think 93L will have much problem organizing, thats why it needs to be watch especially in the event it enters Gulf of Mexico. But I guess the Navy has other plans. Kman, that was a great call on 93l...we're lucky to have you here! The tropical wave they mention...93L?????? Kman hope 93 does not slap you. Everyone have a good fourth of july. So do I. My face still hurts from the storm that shall remain nameless ! 93L will likely be put back up later today as the increase in convection and a 1011 to 1013 mb low would seem to warrant that. So where do you think Big Bertha is going to land? At least you should not need your lifevest KMan. 93 does not look all that good on the visiable. Happy 4th of July to you guys in the the United States! Happy 4th of July everyone...Let Freedom Ring! Thank you Ike....Do you think it'll hit Florida? Changing your chords Ike on Bertha? Looking for trouble on the internet again Jp  Hook is set. Have a good day. The QuikSCAT pass was taken 3 hours before the 5am advisory. Bertha moved along way between the QuikSCAT pass and the 5am advisory. New Blog for Dr. M.
Happy 4th of July to all those out there who celebrate it. We are having an Independence T-shirt Day here today since it is the last "casual Friday" before our own Independence Day on July 10. Everybody is supposed to wear a t-shirt commemorating our independence, or, failing that, a plain t-shirt in black, aquamarine or gold, which are our flag colours. Ike, the ECMWF solution is not that "far out" if Bertha doesn't gain too much vertically. I personally think Bertha WILL make it to 60W before it recurves, partially because it seems to want to stay a bit further south than originally expected. Morning everyone and Happy Independance Day! I'll be at the beach from 1 p.m. till about 10 p.m. so I'm gonna make a quick update on Bertha on my blog and track it for a while.